Cambodian Riel is the legal tender of Cambodia. Though riel is the official currency, there were two distinct series of riel issued in two different periods. The first series of riel was in circulation between 1953 and 1975. The period spanning from 1975 to 1980 had no official currency in Cambodia due to the severely damaged monetary system in the country. 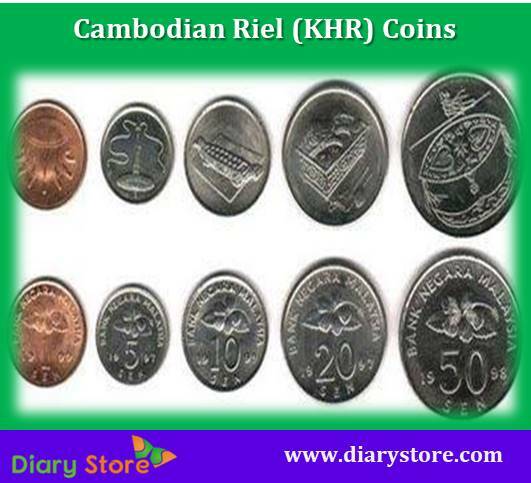 The symbol of Cambodian riel is represented by ៛ and is encoded in Unicode at U+17DB khmer currency symbol riel. The banknotes presently under circulation are 50, 100, 500, 1000, 2000, 5000, 10000, 20000, 50000, 100000 riels and the coins in wide usage are 50, 100, 200 and 500 riels. 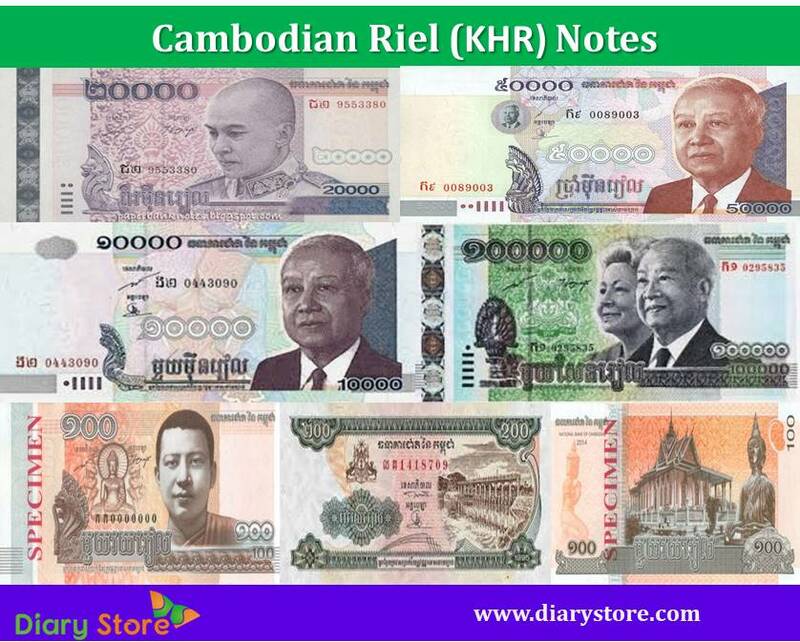 The currency notes which are scarcely seen in circulation are in the denomination of 100,000 riels. The issuance, regulation and withdrawal of currency is monitored by the central bank called the National Bank of Cambodia. Along with Cambodian riel, there is simultaneous acceptance of US dollars in certain urban places and tourist areas. In some places like Battambang and other towns near the border of Thailand, the Thai Baht is also valid for monetary transactions.